The Thermal Manicure and Pedicure includes heated mittens and booties to allow deeper penetration of products and to ease aching joints. N.B. 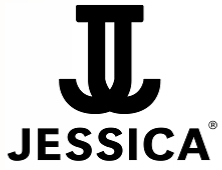 To gain maximum benefits from your Jessica treatments the removal of nail polish prior to your appointment would be to your advantage. We recommend that you bring a pair of open toed sandals or flip-flops with you following a pedicure. A nail treatment applied as a coating to your own nails to strengthen and promote growth. Very long wearing and chip-proof your beautifully painted nails look fabulous for weeks. The Gel dries instantly with no fumes, odours or dust, so you leave the salon with beautifully manicured finger nails that are dry and workable and don't wear or chip for weeks. Jessica Natural Nail Cultivation System treats individual nail types. Beautiful nails are not born … they are carefully cultivated. This is Jessica's philosophy. Jessica nails are beautiful nails.